Recently the Portland Modern Quilt Guild set it’s members a challenge to make Doll Quilts to help raise money for the Oregon Ballet Theater. I had never made a doll quilt before and it seems like a great way to practice my free motion quilting while helping out a good cause. What is so strange about both this little quilts is that they have made 3 inch blocks seem too big. I am going to have to go smaller – which scares me a little, but should be interesting. 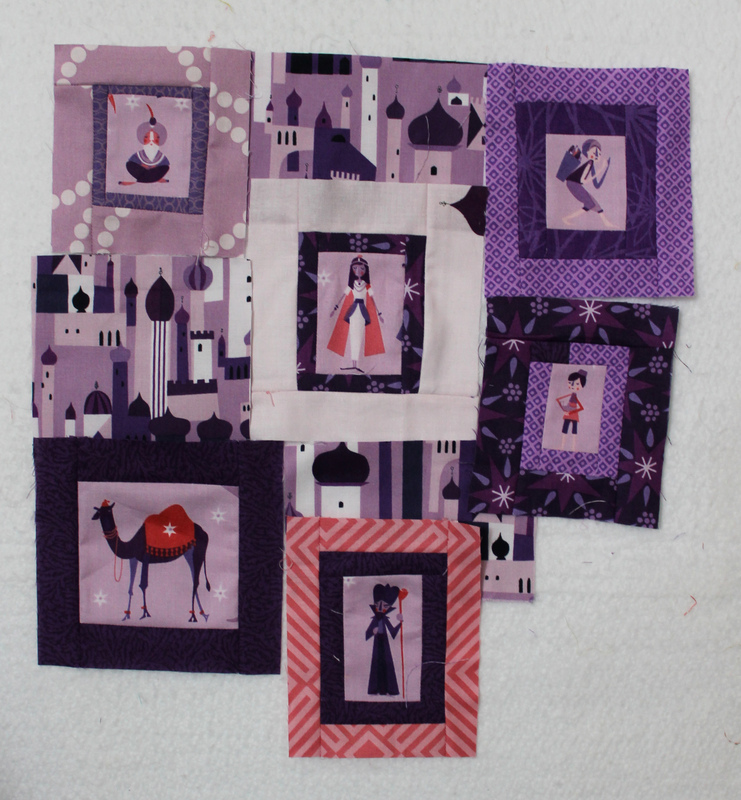 I have also started playing with some 1001 Peeps scraps I had and have this little wip on my design wall. 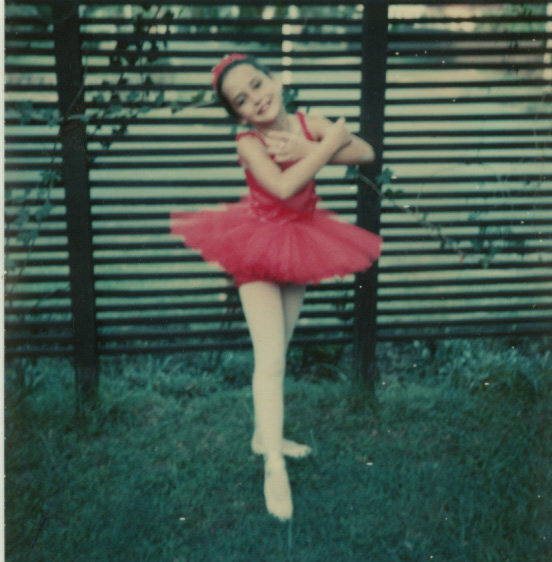 Yes that is me in my bright pink tutu! Brings back memories of my daughters’ ballet lessons and recitals. Haven’t started my quilt yet. I love the ballet! how fun you could combine supporting it with quilting. I also have enjoyed the few doll sized quilts I’ve made. it’s so fun to work on that scale which gets done quickly. and it really does make perfect practice for fmq! Thanks. I am no longer that cute… And I just realized there is now a photo of me on the blog! I love the pink, yellow and orange one. love your little minis…the same but different!! That is such a precious shot of childhood too!! I LOVE your creativity with such a simple doll quilt ~~ that star is THE BEST! Will we see you dancing at any upcoming meetings? My ballet dancing days re well and truly behind me… But I did go line dancing last night for the first time. It was hilariously fun. What sweet little doll quilts! They are fabulous. Very cute indeed … I wonder how many of us in blogland have a similar picture from our youth? You should do a tour … it would be fun! Finally! It is about time we get to see the girl behind the Wombat! She’s a sweetie and I adore her beautiful smile. Thanks Cath, for sharing. What fabulous little wonky star doll quilt tops you have made. Those fabrics – delightful! I love what you’re up to with those 1001 Peeps scraps! Can’t wait to see what it turns into! It’s funny how much block scale changes with quilt size, I don’t know why it surprises me sometimes. 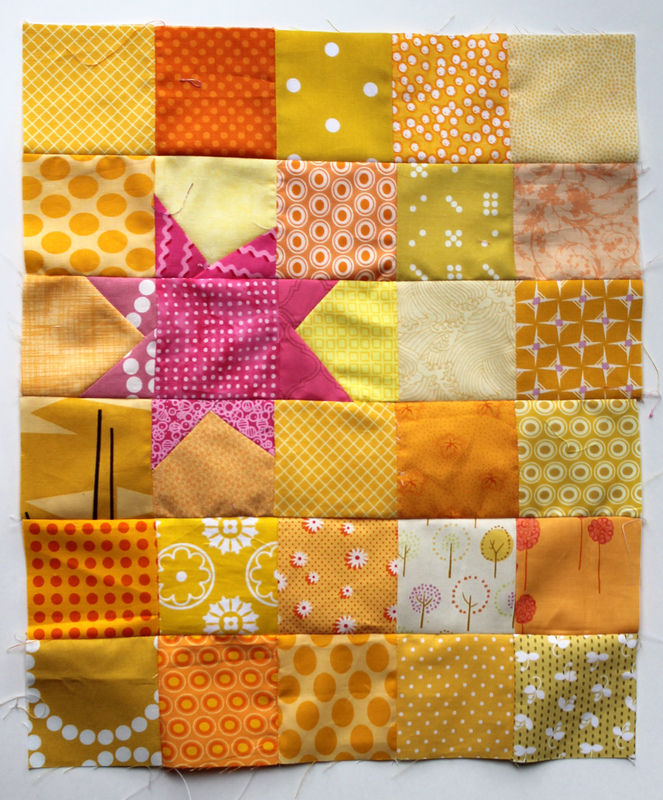 Practicing on small projects is a great way to play with FMQ – love seeing your tutu photo! Thanks for sharing the throwback photo! 🙂 you do some awesome things with 1001 peeps. Your little doll quilts are very cute! Too cute for any dolls I know, I’d hang ’em on the wall, ha. I do love the Peeps. They were such a fun line. I have a little of the castle peeps left and am treasuring it. Have you made any doll quilts? No doll quilts here–my “practice” project of choice seems to be pillows. We have sooooo many pillows! I need to try a pillow. I have not done one yet and it does seem like a fabulous way to practice. I htought I would just return the visit – as the stupid blogger thingy won’t let me answer comments no not-blogger users. 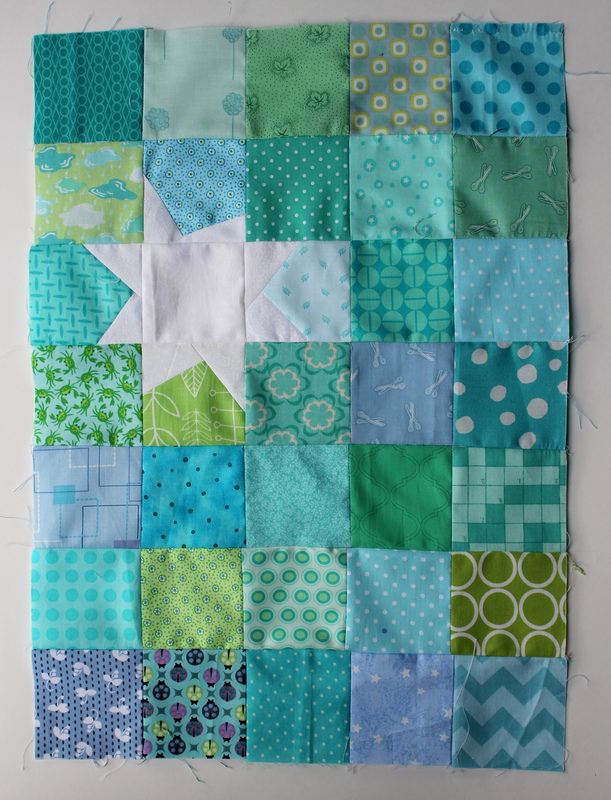 Doll quilts are not only fantastic to practice FMQ they are great to practce anything quilt related. I leanred quilting making doll quilts, the first time basting, the first time quilting, the first time binding – all done on a doll quilt. Just “re-size” the pattern you want to use, and make a doll quilt and you get an idea how it could look in big. You see I’m a doll quilt obsessers, and they cover my walls – well none of them are mine, I sew for swaps. What a great way to learn how to quilt and I love the idea of little quilts to display. I may have to make a few more doll quilts, I definitely need the free motion quilting practice. Thank you so much for the link. The work on the site is amazing. So intricate and beautiful. I am going to search through it further today. Love the pink tutu. The blocks look great too.